TrainingSeeker is Canada’s only online marketplace that enables customers to search, choose and book instructor-led skill-enhancing training with certified training providers when and where they need it. Based out of The Forge start up accelerator at McMaster University’s Innovation Park in Hamilton Ontario, their mission is to provide seekers with the easiest way to find, choose & book training with certified professionals across Canada. Their goal is to give people the information and tools they deserve and make it available to as many people as possible. Alright, let’s jump right into it! When did you start your company and what was your source of inspiration or motivation for starting up? Before starting TrainingSeeker, I was trained and have trained others in the army reserves, the construction industry and in the oil and gas sector. When I wasn’t spending my time teaching, I spent 30-40% of my day trying to find, book and coordinate safety training for hundreds of construction and oil workers. Trying to find the right kind of courses, for the right people, in the right location, at the right time; was probably the most painful job I’ve ever had. And there it was. An internet booking engine to find the safety courses I desperately needed. What is the meaning behind your company’s name/ how did you come up with that name for it? Initially, I thought about coming up with something ‘startuppy’ and drop a vowel out of “trainer” or something like that. But honestly, people looking for occupational safety training, don’t have time for all that jazz. TrainingSeeker is exactly what it sounds like. It’s where people looking for training come to search, choose, and book themselves, or others, on certified courses they need for work or life in general. Do you have any co-founders or employees? If so, describe your team’s dynamic and how you connected. Team TrainingSeeker has one common element that defines us. All three of us have served in the Canadian Armed Forces. Myself, I am a reserve officer with HMCS Star located on Catherine Street in Hamilton. In addition to having a baseline set of values and work ethic, instilled in us through our military training, we all have complementary experiences in a number of industries outside of the military. When I set out to build the search engine for TrainingSeeker, I contacted a web developer friend I once spent four months living and working with on an army leadership course we were both on. When I was looking for a business person, I connected on AngelList with a Royal Military College grad who just finished his MBA at Queens University. What have been some of the biggest challenges that you’ve faced with starting up? Describe them a little bit for us. Even if you know your target industry, like the back of your hand, the learning curve in providing a solution as a startup is massive. Although it is a challenge and a half, it’s an overall enjoyable experience that really pushes you to learn quickly and fall back on previous experiences and lessons learned. As an entrepreneur in my late thirties, with bills to pay and mouths to feed, work life balance is also a test that can’t be negotiated without a support system. Myself, there is one thing I don’t compromise on and that is spending as much time as I can with my daughter. With all the obligations surrounding building a company, finding time for family, the gym, a weekend bike ride, or even catching a hockey game with friends is tough. Recently TrainingSeeker placed first at the Innovation Factory Elev8 Pitch Night on 5 April 2017. Being that it was my first ever pitch and the calibre of the other startups presenting, I was pleasantly surprised to hear the name TrainingSeeker being called up as the winner. If you could pass on one piece of advice to entrepreneurs just starting up, what would it be? Find a mentor. Find someone you can bounce ideas off and ask for advice. Also, visit your local Regional Innovation Centre (RIC). The support of Hamilton’s Innovation Factory and The Forge has been crucial for myself and TrainingSeeker. What’s your favourite quote or saying that you’ve either heard or say yourself? Why is this your favourite? I believe that as Canadian’s we live in the greatest country in the world during the most interesting time in history. So when times get a little tough, I like to read up on some history and historical figures, which more often than not, reminds me that it’s not supposed to be easy and to just keep on moving forward. Finally, as a Canadian entrepreneur, how has your experience been starting up in the Canadian ecosystem? Do you feel that you and your team have received significant support? I don’t know what it's like to start up anywhere other than in Canada, but I have to say that coming into it with zero expectations of any assistance, I’m floored. My experience with the Innovation Factory and The Forge at McMaster has been spectacular and I don’t think that TrainingSeeker would have seen the light of day without their mentorship and assistance. Startups In Canada (SinC) is a startup directory, showcasing and featuring local Canadian startups, their founding members, and their vision. 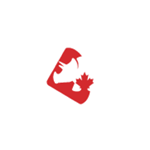 Our vision is to further accelerate and strengthen the startup community here, within Canada. Have a startup you’d like to submit and list with us or know someone who would be a good fit for our Startup Spotlight series? You’ve come to the right place!